James Holmes found guilty of first-degree murder in the July 2012 Colorado shooting at a movie theater that left 12 people dead. 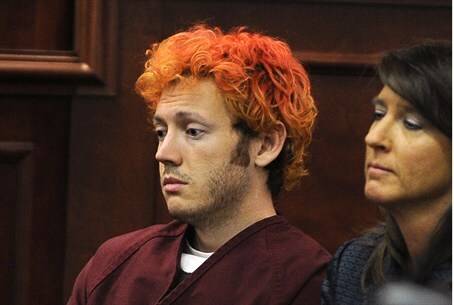 A jury on Thursday found James Holmes guilty of first-degree murder in the July 2012 Aurora, Colorado, shooting at a movie theater that left 12 people dead, CNN reports. Holmes, who had pleaded not guilty by reason of insanity, showed no reaction as the verdict against him was announced. He stood at the defense table with his attorney, his hands in his pockets. He faced a total of 165 charges, noted CNN. The jury also found Holmes guilty of attempted murder on all of the 140 counts against him for the 70 people wounded in the shooting. Additionally, he was found guilty of one count of possession or control of an explosive or incendiary device. By virtue of his insanity plea, the now 27-year-old Holmes had never denied he was behind the killings. But given his mental state, his lawyers argued that he should not be found culpable. "The evidence is clear that he could not control his thoughts, ... he could not control his actions, and he could not control his perceptions," defense attorney Dan King was quoted as having said during closing arguments. King told the court psychosis had obscured Holmes' ability to think about things the way a rational person does. "Only the mental illness caused this to happen and nothing else," he claimed. Prosecutors, who called more than 200 witnesses to the stand, insisted Holmes knew well what he was doing. He acted deliberately to deliver pain and his mental issues shouldn't excuse him from paying the price, they argued. As jurors decided to convict Holmes on multiple murder charges, the next question will be what price he'll pay. In 2013, the prosecution signaled it would seek the death penalty, noted CNN.